The website Home Run Tracker measures this dinger (here’s a link for certain mobile users) at 467 feet, the ninth-longest shot of the 2017 season. Harper was the third batter faced in the first career start for Diamondbacks prospect Anthony Banda, and it was a gruesome welcome-to-the-big-leagues moment for a guy who otherwise handled Washington’s fearsome offense pretty well. 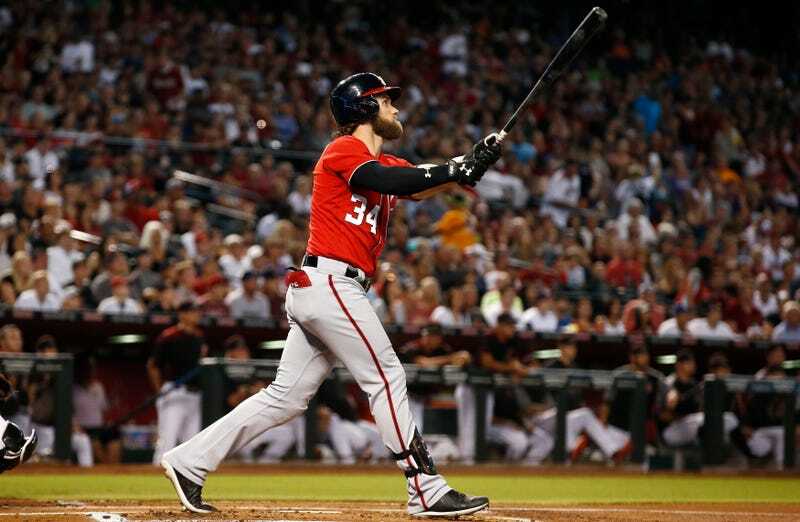 Harper smoked an RBI ground rule double in the sixth inning, and the Nats survived more shaky bullpen work for a 4-3 win.